Russian, 1917. 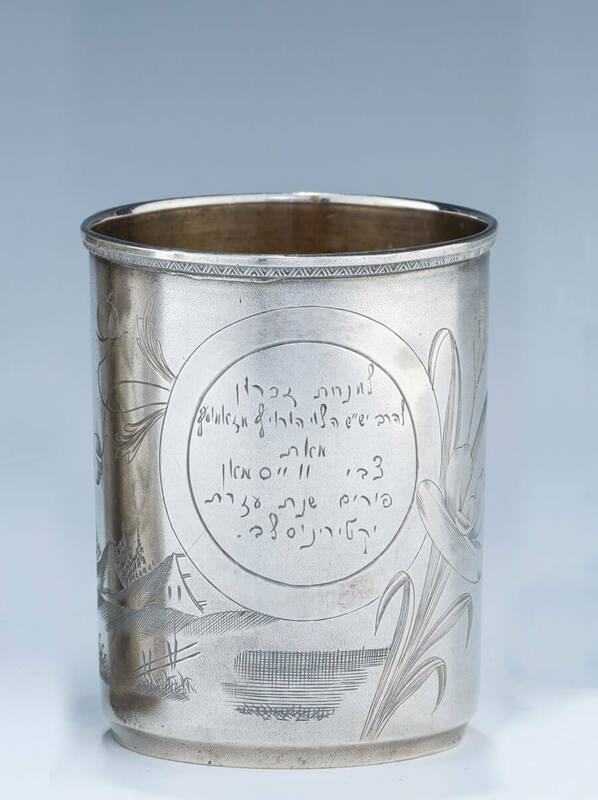 Inscribed in Hebrew “GIVEN TO RABBI PINCUS FROM HIS DEAR FRIEND TZVI WEISSMAN, PURIM, 1917.” This is a historically significant piece because in 1917 Purim fell exactly on March 8, 1917, which was the first day of the Russian Revolution. Members of the Imperial government, also known as Duma, seized control of the country forming the Russian Provincial Government in Petrograd (now St. Petersburg). Marked. 2.8” tall.